Just before her death, "Singin' in the Rain" star Debbie Reynolds wanted to be with her daughter, Carrie Fisher, the Hollywood icon's son, Todd Fisher, said in a media interview. Reynolds died Wednesday after being taken to the hospital from Carrie Fisher's Beverly Hills house. She suffered a stroke the day after her Carrie died of a heart attack while aboard a flight from London to Los Angeles. "She went to be with Carrie. In fact, those were the last words that she spoke this morning," Todd, co-founder of Hiding Place Church in California, told E! News. "More specifically, she said that she really, she was under a lot of stress." Todd added, "She held it together beautifully, obviously, for the last couple of days but she was under a lot of emotion and stress from the loss [of Carrie] and it's pretty much what triggered this event." 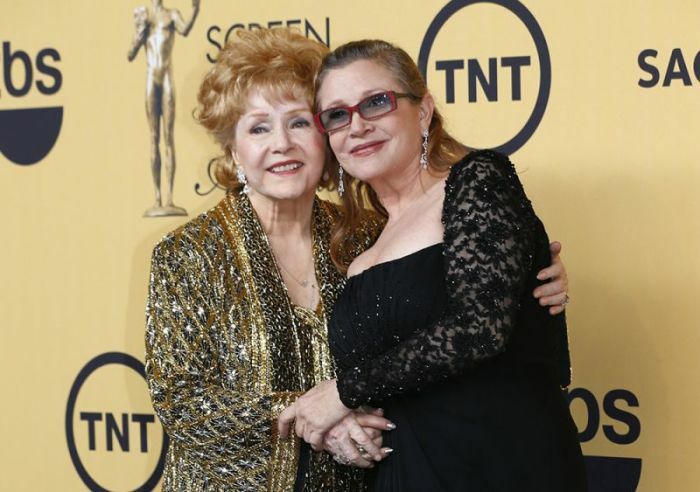 Reynolds didn't get to see her daughter "as Carrie was on her way back from England and none of us really got to see her other than in the hospital," Pastor Fisher said. Reynolds was an actress, singer, businesswoman and film historian. She was known in Hollywood as a philanthropist. She worked with The Thailans, a group that provides mental-healthcare, for more than 60 years. She was also known for her energetic battles to preserve Hollywood heritage, according to Variety. She bought thousands of pieces when MGM auctioned off its costumes and props, including Marilyn Monroe's "subway dress" from "The Seven Year Itch," a Charlie Chaplin bowler hat and a copy of the ruby slippers from "The Wizard of Oz." Reynolds spent decades trying to get these items showcased in a museum. Reynolds was married three times. Her first marriage was to singer Eddie Fisher in 1955. Todd Fisher was born in 1958. Reynolds' second marriage, to millionaire businessman Harry Karl, lasted from 1960 to 1973. Her third marriage was to real estate developer Richard Hamlett from 1984 to 1996. Her son, Todd, became a Christian in 1980, and was later ordained as a minister. He founded Hiding Place, along with musician Henry Cutrona of Christian country rock band Gentle Faith. A non-denominational, charismatic congregation, the church first met in North Hollywood at his mother's DR Studios. After outgrowing that location, the church was moved to Beverly Theater in Beverly Hills. By 1986, the church had relocated to Emerson Middle School in Westwood, Los Angeles, with an average Sunday attendance of 1,000.